I never usually submit reviews on products, but thought id take the time to share my thoughts. Although the product hasnt been on site for long, i feel like i was one of the lucky ones to get an order in as part of the prerelease. I've been a huge fan of the original mypre, but felt it really lacked the cutting edge in ingredients, and undoubtedly taste. As you all have probably done, i thought id give the 2.0 a go and i wasn't let down. Of course i took 2 scoops of this and i have honestly never had session like it. lucky it was a grueling chest workout, but my pumps were insane. I've never felt vascularity and bloodflow like it. Concentration was all there and hand complete focus. My heart rate was through the roof! Anyway the new version of the Blue Rasp. is insane. Just like a panda pop or tip top ice lolly. 100% improve myprotein, well done. Bring back the old MyPre!! The old MyPre was by far the best on the market for me, taste wise and effectiveness. I gave this 2.0 version a try and I didn’t get on with it at all! For me the taste is horrendous, so much so that I ended up just giving it away to a friend. Please bring back the previous MyPre!!! If you ever wandered what smurf pee would taste and look like, this is probably the answer. It's downright awful. The color is damningly unnatural as well, I reckon drinking windshield fluid is not far off what it looks like. Everybody around you will smell what you're drinking too. They won't like it. On the other hand, it has a pretty decent kick and does what it's supposed to do, especially during gloomy days when you need some extra incentive to hit the weights. The first version of mypre was much more effective. The first version tasted nice were mypre 2 is revoulting. Bring back the first version please!!! Half as good as 1.0, don't really feel much affect and I guess that's probably because I'm used to the previous version 1.0 which had much higher-additional nutritional values. I will say it does blend much nicer, no bits/powdery and it does taste much better overal. Blueberry was very nice, mixed 600ml of water was the perfect ratio for me. Will I buy it again? Probably not and would stick with 1.0 as the values to me are important. Should it become discontinued, I'd move onto another supplier. Hope this has been helpful, like or dislike so I know it has helped others. I much prefer the original my pre than this one. The other one seems to work instantly This one is slow and sluggish making me feel flat when I lift my Weights. My pre gets straight to it and makes me peek nicely with a slight tingle as it works. 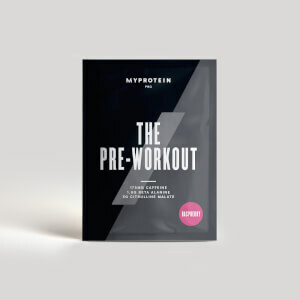 MyPre 2.0 is effective just the right amount of caffeine to complete a hard workout in this heatwave we’re having at the moment 😨. This product has the boost of creatine to help you complete more reps! This is my 3rd tub so it must be good Stuff! In my opinion Cola my preferred flavour, it would be a good idea for Myprotein to Offer more Flavours?! 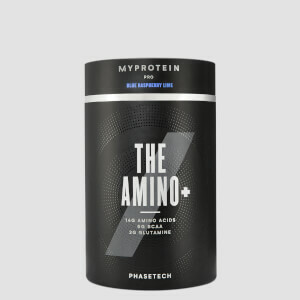 So I ordered the blue raspberry flavour last week and shortly contacted Myprotein thinking I had gotten a bad batch, as there was an utterly disgusting aftertaste, the product smells fake, and it was making me feel really nauseous. Apparently though, it is a good, tested batch and the product is just utterly disgusting. Do not order the blue raspberry flavour. 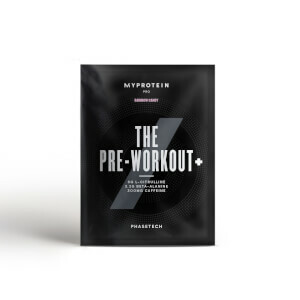 It is the worst pre-workout I have ever encountered, and I have tried most of the major players. Disappointing from a brand which is normally my go-to. Nothing. It is utterly gross.